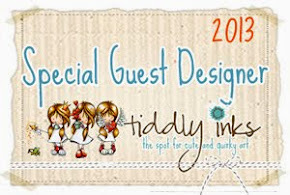 I am very excited to be sharing a sneak peek at this month's new release over at Sparkle Creations. This is Texting Chloe and she comes with lots of fabulous sentiments. My image is coloured with copics and then I mounted it onto a banner I cut with MFT Fishtail Banner Stax die. The sentiment was added to the side and then everything was mounted with foam tape onto this yummy polka dot paper from Echo Park. Please make sure to visit all the rest of the SCRS designers for more peeks of Texting Chloe. Sparkle will be giving away Texting Chloe to one lucky person! For a chance to win, you need to comment on all of the designer's blogs (list below). Then head on over to the SCRS blog and comment on the Texting Chloe post. You have until midnight EST each day to comment. The lucky winner will be announced on Monday! Great clean lines and I love the font of the text. Your card is so fabulous, love it!! Gorgeous colours Judith, love what you have done here!